Paramount Business Jets offers cost effective and high quality private aircraft charter flights to and from Los Angeles, California. 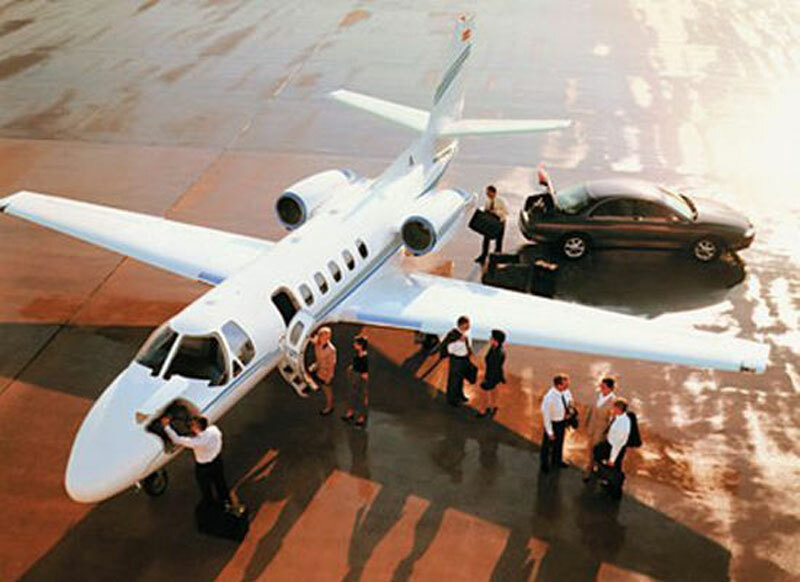 Chartering a jet from Los Angeles to cities worldwide is a popular request for us. We generally use Van Nuys Airport (VNY), located 21 miles north of Los Angeles International Airport (LAX) considering the Van Nuys is much better equipped to handle VIP clients. We have access to over 138 aircraft options available for charter on demand within a 30 mile radius of Los Angeles. The most commonly found aircraft based in the region include lights jets such as the Citation II, Learjet 35A, Citation V, and Beechjet 400A, midsize jets such as the Hawker 850XP, Citation III, Citation X and large jets such as the Gulfstream G IV, G IV SP, Challenger 601, and Falcon 2000. In addition, there are plenty of transient aircraft and discounted empty leg flights available for charter in the Los Angeles Area. One way flights such as Los Angeles to Hawaii are and New York are very common. If you are traveling domestic or internationally, please contact us with your specific request by sending us an email or by calling us directly at 1-877-727-2538. Our private aviation experts are available 24 hours a day. Los Angeles is a city of fashion, business, culture, and just a prime relaxing getaway. Los Angeles is often referred to as the "L.A.", "The City of Angels", "the Entertainment Capital of the World", "La-La-Land" and is regarded as one of world's premier tourist destinations. Los Angeles is a city of increasing popularity. Home to world-famous Hollywood and one of the world's most famous beaches, Los Angeles has a lot to offer both sightseeing tourists and business travelers during their visit. Los Angeles is a rich city of culture with more than 80 stage theaters and 300 museums offering more then what the average customer wants. Museums in Los Angeles include the Getty Museum, Museum Row, California Science Center, Museum of Tolerance, Museum at the La Brea Tar Pits, and Peterson Automotive Museum. A trip to Los Angeles is not complete without taking a stroll along the Hollywood Walk of Fame, taking a ride through Beverly Hills, or just exploring glorious golden beaches along the Pacific coast. Southern California's popular attractions like Malibu Beach, Santa Monica Beach, Venice Beach, Universal Studios, and Warner Bros. are nearby - making your commute quick and easy. When booking a trip to Los Angeles, be sure to plan ahead for your trip because this is a busy city where traffic is ongoing and business is flourishing. Los Angeles is served by Los Angeles International Airport (LAX), along with Bob Hope Airport (BUR) and Long Beach Airport (LGB).